Whether you have been using Sage ACT! or another contact management solution, you may require additional capabilities as your business grows. Competition is ever increasing, customers are demanding more value to be delivered and there seems to not be enough time in the day to finish what needs to get done. You feel a need to understand the options for more robust opportunity management and forecasting to make more informed business decisions. It would be useful to have marketing automation that keeps your value proposition messages in the minds of your prospective and loyal customers. Additionally getting a better handle on service and support issues and providing quick and proper resolutions will help in retaining profitable customers. These are all valued capabilities which are designed to manage customer interactions across your entire business. The Infor CRM (formally Saleslogix) Customer Relationship Management (CRM) solution builds on the features and ease-of-use of ACT!, while providing you with additional functionality you need to acquire, retain and develop profitable customer relationships. Access one centralized database for a complete view of all customer interactions, from sales and marketing to customer service and support. As your organization grows, this enables all of your employees - whether they are responding to a billing inquiry or conducting in-person sales calls - to have a complete, up-to-date view of each customer and their contacts. While contact management applications may allow for company and account hierarchies, they do not provide the ability to track leads from campaign, through the opportunity cycle, to close. 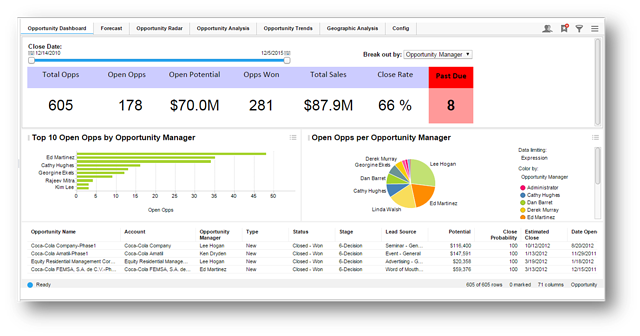 Advanced opportunity management allows for tracking by probability of close, products, lead source, status and competitors. In addition proposals that include products, pricing and discounts can be created for each opportunity. Utilize robust marketing automation tools to segment customers and prospects, automate campaign activity scheduling and follow-up activities and track response rates. Workflow capabilities for lead routing ensure that no leads slip through the cracks. And, revenue can be tied to specific campaigns so that it's easy to analyze campaign ROI to increase marketing efficiency. 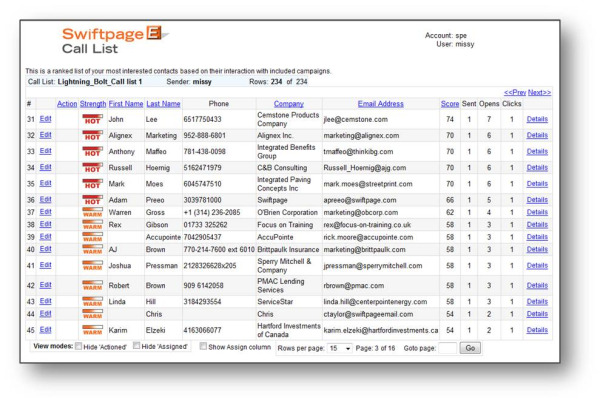 Your sales professionals will appreciate having a call list of those prospects and customers showing the most self-interest in your marketing content. 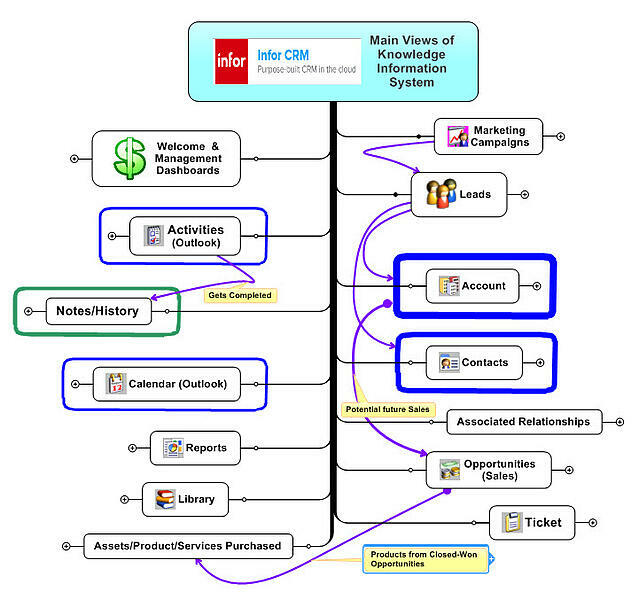 More on eMarketing or Marketing Automation integration with SalesFusion. With Infor CRM service and support solutions, your organization can track and resolve customer questions, issues and technical support inquiries for a high-quality customer experience. In addition, Web Customer Portals empower customers to find answers they need by allowing them to view, add or edit service and support tickets. Accurate, timely revenue forecasts help sales close more deals, bring higher profits to the company and ailing expenses with revenue growth. Forecasting also gives companies critical visibility into future product and service demand trends. 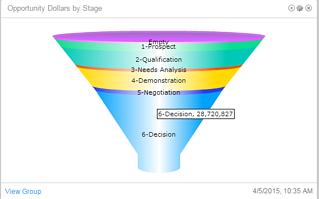 With a CRM solution, opportunities can be segmented by account manager, region or probability fo close. Management can analyze historical trends to gauge individual or team effectiveness and guide strategic changes such as territory realignment or redistribution of marketing dollars. CRM solutions for mid-sized companies are designed specifically to scale with the growth and changing business requirements of these organizations. A CRM solution is equipped to handle a variety of scalability factors that affect database performance including number of users, records, attachments and documents. Contact management solutions are adaptable at the end-user level and allow for some layout and database changes; however, CRM solutions enable organizations to expand and customize data tables and other areas of the application globally to meet their business needs. A CRM solution should be able to adapt to your organization's unique sales and customer interaction processes. Also consider the importance of access 24 x 7 x 365 using Web technology. Your CRM system should be able to be deployed on your premise or in the cloud. It may need to have remote synchronization capabilities in case a user does NOT have Internet access. Make sure that there is a web interface and more importantly a mobile version for smart phones and tablets. 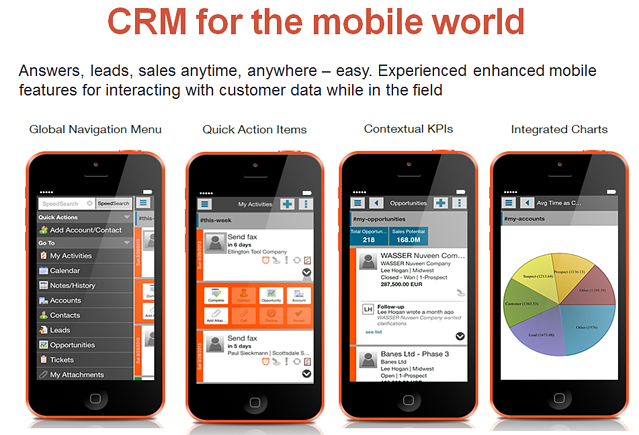 End user engagement with a CRM system especially by sales people in the field is enhanced with mobile CRM. While sharing knowledge is critical to an organization's success, the security available in a CRM solution allows an organization to control the fields and views that various individuals and teams can view and modify. For example, only the sales Manager would see the opportunities for all the regional sales teams but only each regional sales team can see only their accounts and contacts and not those in another region. The collection of knowledge gained over the years about the reasons customers buy, the value delivered by your products and services, the list of customers and their purchase history, issues resolved, notes on important conversations and the all important connections among people, makes your business more valuable with CRM.